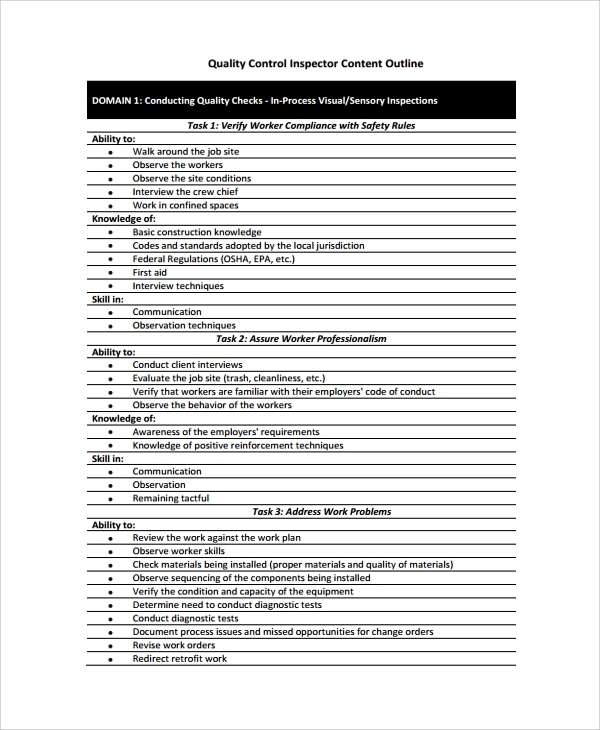 An effective Job Task Analysis requires you to mention and elaborate each and every requirement you expect from an employee that will handle a particular post. When the analysis is well-written, your employees get to know all their roles while serving at the particular job post. Additionally, it also helps you question them when you find them incompetent since all is clear in the job analysis document you provide. 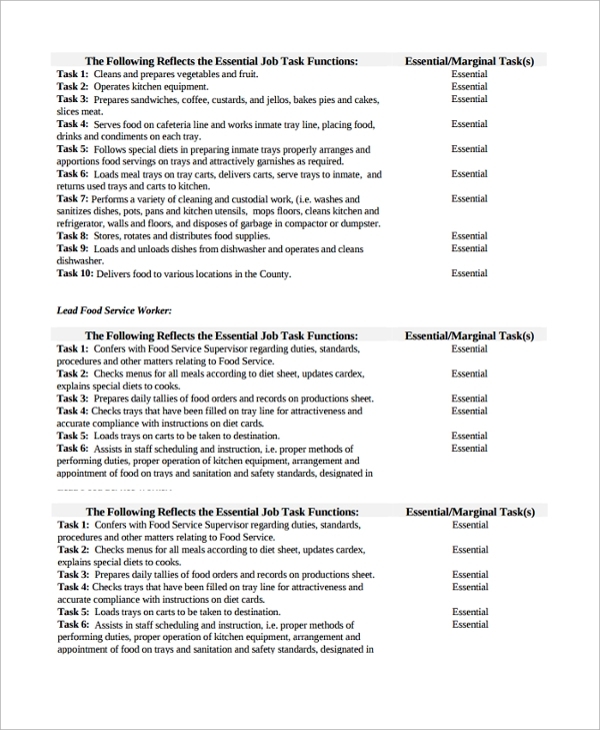 Our job analysis templates have the structure and layout of how you will list your information to help you put more time and focus on figuring out the content your document should entail. The name of the organization where the position is situated should be mentioned first. Next give an introduction which talks about the process of where the job lies. After that, give a list of all the critical and essential tasks which should be performed by an employee in this job post and elaborate them extensively. Provide explanations and statistics of the repercussions of the job not being done or not being done as per required. Finally, give tips on how one can handle the job properly fulfilling all the duties. 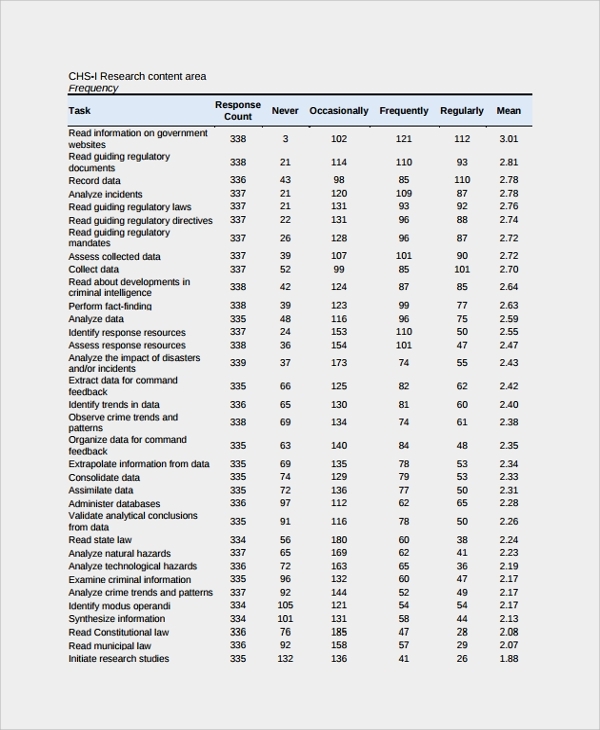 The top should indicate that the document is a job coaching task analysis for easy identification among other papers. Next should be the name of the participant and the name of the coach training the participant. The location of the training site should also be indicated. The tasks encountered at the job post should be listed next together with the steps one should follow to do the job efficiently, and the specific dates each gets trained. The model should conclude by listing the challenges encountered when performing the job’s tasks and the coaching period. 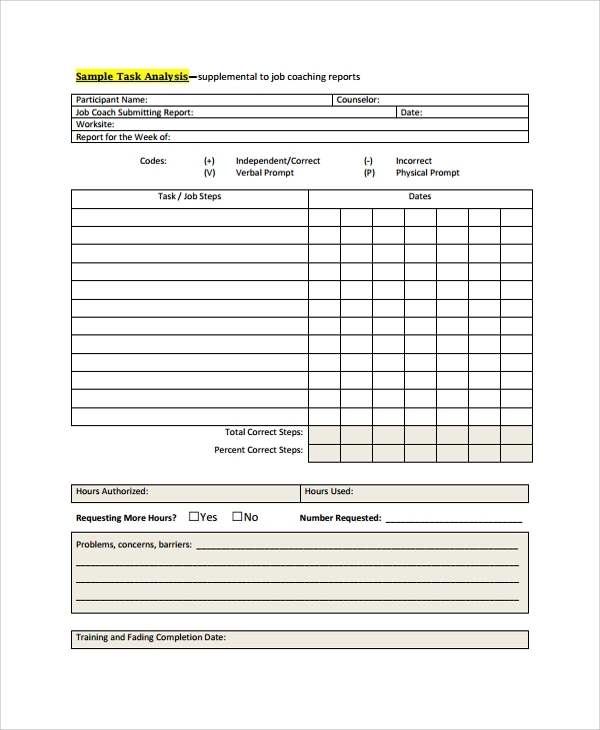 The top of the paper should indicate that the form is a job task analysis report for easier identification of the document. Next should be the name of the entity where the job is situated. The date of when the report gets published and the names of the whole who prepare the whole of it must be put down. Finally, conclude by listing other information such as the details of the company that offers that job. They may include a telephone number, email address, website address and postal address. 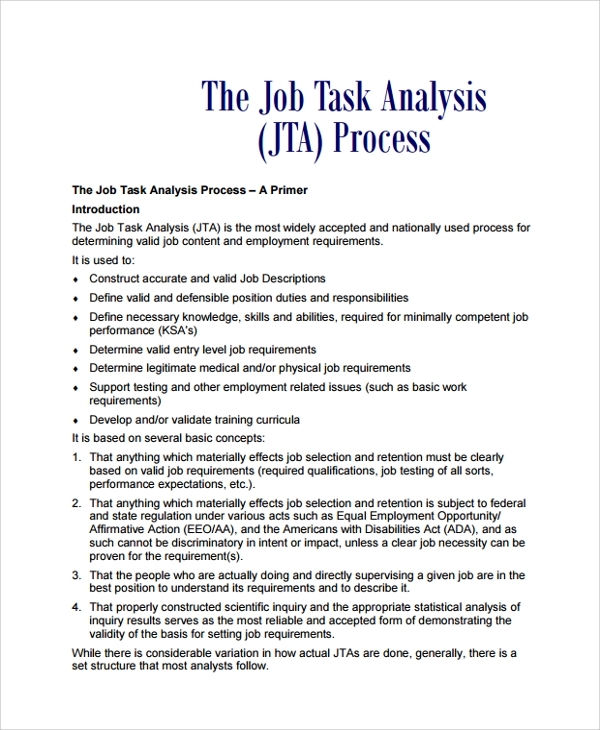 Which are the benefits of having our job task analysis templates? Our models have been prepared in a way to guide you efficiently when creating your document. Having them ready in that design saves you time for working on other requirements of the document. 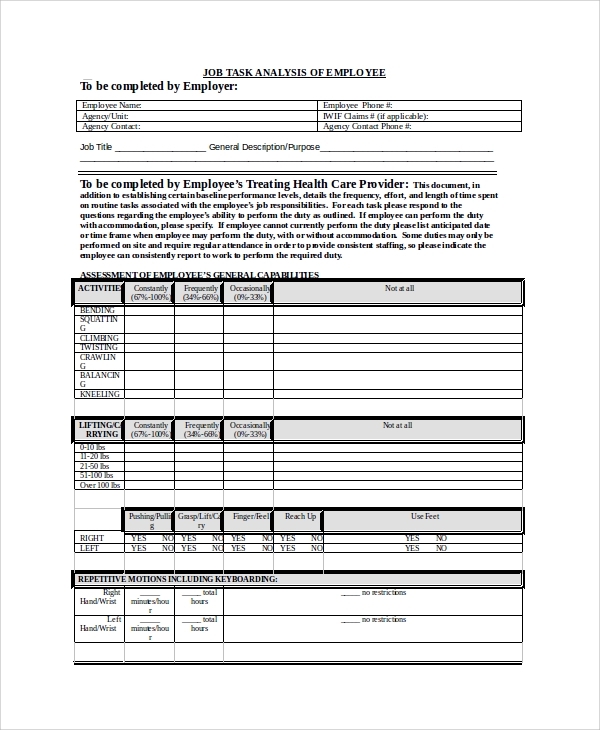 Out templates are also documents which you can save as files on your personal computer; therefore, allowing you to reference from them as many times as you would want when creating job analysis documents in future. Finally, our templates are of moderate sizes which will not take much space in your computer storage.You can also see Company Analysis Report Templates. 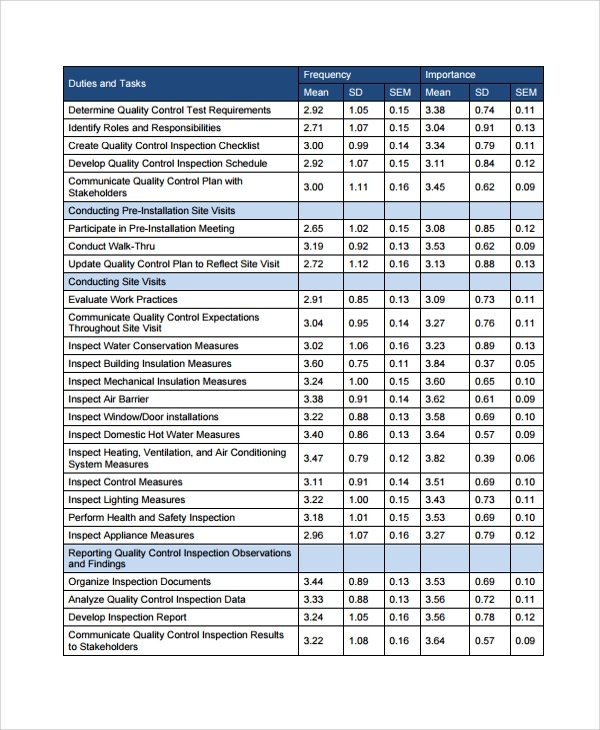 What should you never leave out when doing your job analysis? Always remember to mention the areas in which the job is mostly involved to make the reader understand the tasks that will need to get performed on the job. Saying the area or process involved also makes the reader understand the need for that job post. Also, mention at which stage of the process the position operates to be specific about the functions that need to get performed in that particular arena. Finally, include the period that one should take when conducting the tasks.You can also see Sample Task Analysis Templates. 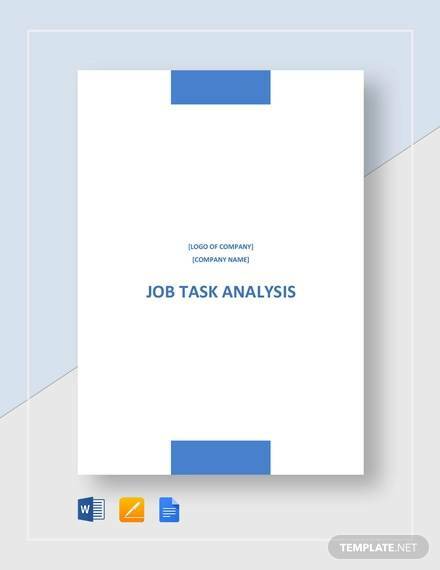 Why our job task analysis templates are the best? We have made them one of a kind for you because we have them designed by experienced experts. They make them editable for you to be able to do any modifications you would like on what we already have for you and printable to allow one to make as many copies as you would want. Another way we have done our templates to be the most effective for you is by giving you a way of how to structure the information you have to present in your document. We offer customers the best services possible, and that is why we even go to an extent of directing them to our experts. Through this platform, our experts can even create for you a completely self-customed model once you have made them understand how you want yours. Lastly, acquire our templates today because they are affordable and easily accessible.